Providing you the best range of cylinder lock with both side keys, ss deluxe larder unit, door stoppers and door closer with effective & timely delivery. Our rich industry experience supports us in trading and supplying superior quality Cylinder Lock with Both Side Keys. 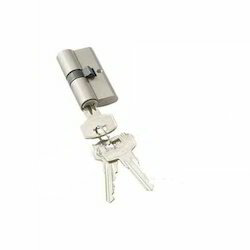 The offered cylinder locks are known for its styles look, strength and small size. 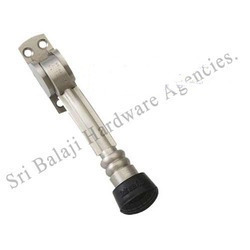 These cylinder locks are manufactured at vendors end by utilizing finest quality material and leading technology. Our honored patrons can avail the offered cylinder locks from us in customized options at their budget. 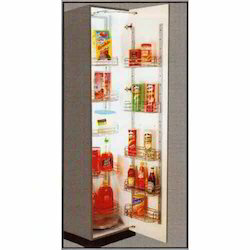 By following industrial standards, we are engrossed in providing our clients a wide range of SS Deluxe Larder Unit. The provided range is superbly designed by our skilful professionals by using premium quality raw materials that are obtained from the genuine vendors of the industry. To ensure their high quality, these products are strictly checked against various quality parameters. Besides, we deliver this range within the specified time frame. In order to meet the diverse requirements of clients, we are offering Door Stoppers. Extensively known for its durability, easy to use & install, the offered door stopper is precisely manufactured by optimum grade material under the keen observation of accomplished professionals. Not only this, for removing any flaw, our quality controllers check this door stopper on quality parameters. We are successfully ranked as the top trader and supplier engaged in offering an exclusive range of Door Closer. Widely used in doors for stopping & can easily be attached, the offered door closer is precisely manufactured by optimum grade material under the keen observation of accomplished professionals. We offer this door closer in various specifications.